The Pope’s second concern, he said, is evangelical poverty and transparency. When at times we see these things, the Pope said, it is a counter-witness to speak of poverty and lead a life of luxury; and it is very scandalous to deal with money without transparency or to manage the assets of the Church as if they were personal assets. We have the duty, the Pope noted, to manage in an exemplary way, through clear and common rules. 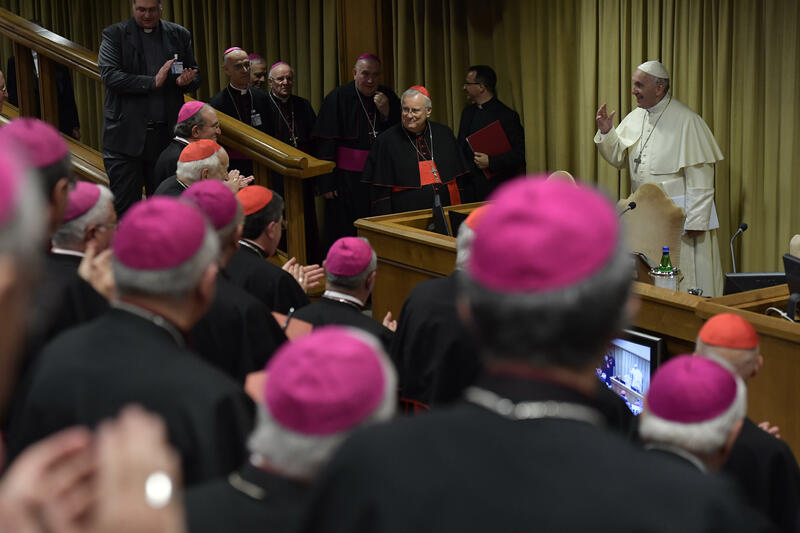 The third concern, the Pontiff said, is the reduction and merging of dioceses. After sharing this as starting points for reflection, Pope Francis said he left the floor open to them to speak freely and again giving thanks.